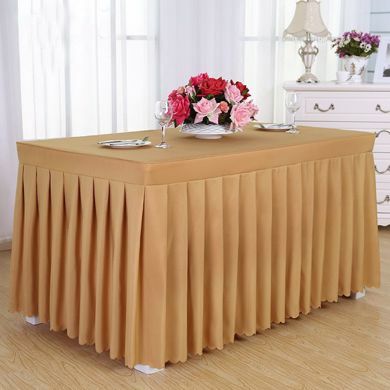 Table Skirts | Box Pleated and Stirred Table Skirts | HY Supplies Inc.
Make your Standard and Custom table look professional and elegant with 100% Polyester Table Skirts in various types like Box Pleated and Stirred. The table skirts are a decorative way to hide table legs and clutter in a restaurant, hotels, motels or during a special event. Give an attractive look to your Place!